Vertical farming has become a hot topic in the last couple years in the Green Industry & is only continuing to grow in interest & popularity. Here are a few of the ways you can grow vertically – indoors & outdoors! Grow racks are probably the most popular method that is currently out there. Some companies are growing 10-15 levels high, or even higher in some cases! Crops grown in these systems is limited to leafy greens & herbs due to the smaller space they occupy. Commercial crops like Tomatoes & Cucumbers are already “vertical growing” – some grow up to 30 feet tall! Commercialized by Bright Agrotech, these grow towers are essentially like 2 gutters sandwiched together with a foam growing media that you grow the plants in. Unlike a gutter that lays horizontally, these are grown vertically and then you stack towers side-by-side. I have not tested these out, but have had my eye on them since the first time I heard about them! You can grow them outdoors, but I feel like it would be more ideal to do indoors or in a greenhouse to maximize production. There is a wide variety of Grow Towers out there. Some are hydroponic or aeroponic – meaning that the roots are either growing in nutrient-rich water, or the roots hang in the air & is misted with nutrients & water. Typically, those types of towers are also using artificial lighting, but I have seen some growing in greenhouses. Other Grow Towers do use soil – some are made by growers themselves, but I am going to be testing this Tower out this summer that holds 250 plants & uses soil – so excited to see how well it works! This is going to save me from building as many Gutter Growing systems & will save a ton of space as well! Instead of 250 heads of lettuce taking up 250 square feet, it will take up 4 square feet – pretty impressive right?! This has been made popular by In.Genius Farms out of Canada & I’m excited to give this a whirl this season. I think I’ll mainly grow leafy veggies, herbs, green onions, & maybe even strawberries. My concerns are that they will not stay hydrated enough – & will be hard to keep watered when temperatures get in the 90s this summer. Not only the water issue, but the actual heat issue – how will that affect the plants roots, will it bake them? I guess there’s only one way to find out! 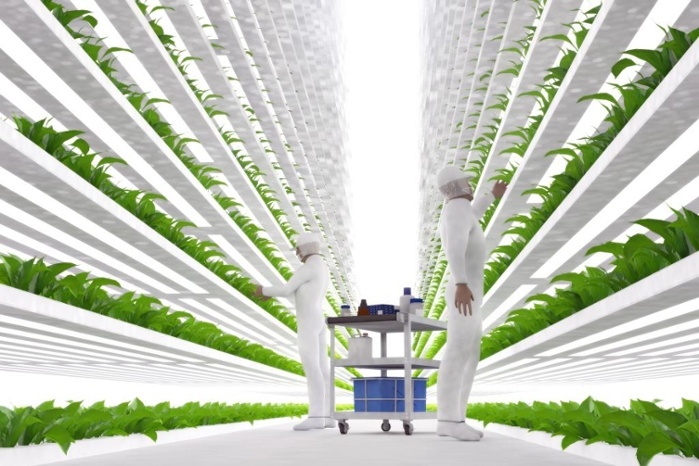 Vertical growing has been in theory for nearly 100 years, but companies are just beginning to tackle this growing option with plant factories & new growing systems coming out all the time. There are challenges, but through testing, failing, & innovating, I believe that this will be the future of growing as the population expands & the size of farms continues to shrink. There was a time where grow lights were only used in dank-smelling basements & illicit indoor grow ops, but times have changed! Fluorescent lighting used to be the most abundant light source around us (probably still is in some offices! ), but most light has been switched to LED due to efficiency, lifespan, and economics. Your best bet is to go with a High Output T5 light – that will give you the strongest light that you can get from a fluorescent & should be enough to get your seeds rocking & rolling! Here’s how my tomatoes & peppers did under the T5 last year. These are great lights for seed starting & I also use mine for my abundance of succulents that I have planted in Root Pouches – stop by the shop if you want to help me clear some out 😊 or let me know if you see one in the picture below you like & I’ll get it listed! I have no experience growing under HPS lights, but almost every grower that I have worked with over the past 5 years that uses grow lights, uses HPS. And when I say grower, I mean vegetable, annual, perennial, trees, shrubs, not cannabis. These lights were the industry standard for a long time, but there’s another benefit that is overlooked – the heat they emit. Growers in warmer states may not want this, but this is a huge benefit to northern growers like Ohio, Michigan, or Minnesota. LEDs may save you money on energy costs, but how much more do you have to pay for supplemental heat? This is why there is no one-size-fits-all solution for lighting. As with everything in life – it depends on a lot of factors. LED lighting seems like it is on a whole other level than other lights. There are about 8 million different configurations of LED grow lights out there ranging from a $20 panel on Amazon to a $2000 set-up from a more sophisticated manufacturer. I don’t have experience with the high-end lights, but here’s what a few of those cheap LEDs did for my Habanero seedlings last year. Because there are so many options out there, I decided to go with the TotalGrow Broad Spectrum LED bulbs. The initial cost is higher than fluorescent lights, but the energy usage is 24W versus 11W – plus I’ll get a higher quality of light from the LED & my plants will grow exceptionally well! 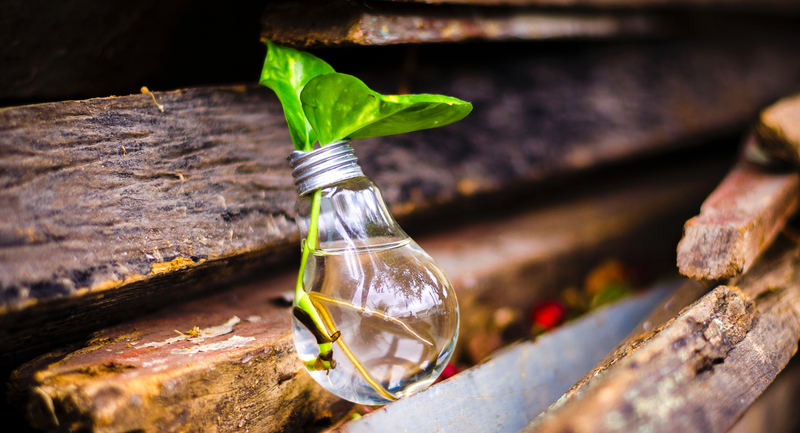 Fluorescent lights have an inefficient & less powerful spectrum that causes plants to stretch out a little, but that should be completely mitigated with this new light set up – I can’t wait to see the power of Full Spectrum lighting! What does Full Spectrum mean? Different colored light has differing effects on plants. See the chart below from TotalGrow to see what the Broad Spectrum LEDs do for your plants. I’ll also be posting updates throughout the growing cycle – from Seed Starting to Supplying our customers with their CSA Veggie Box – so stay tuned to see how these lights perform from Seed to Sale! As always, feel free to comment any questions, concerns, or drop some knowledge on me with anything I’ve missed!